My photo class lesson #18, is 'balance' and to use clouds to achieve it in a landscape shot. 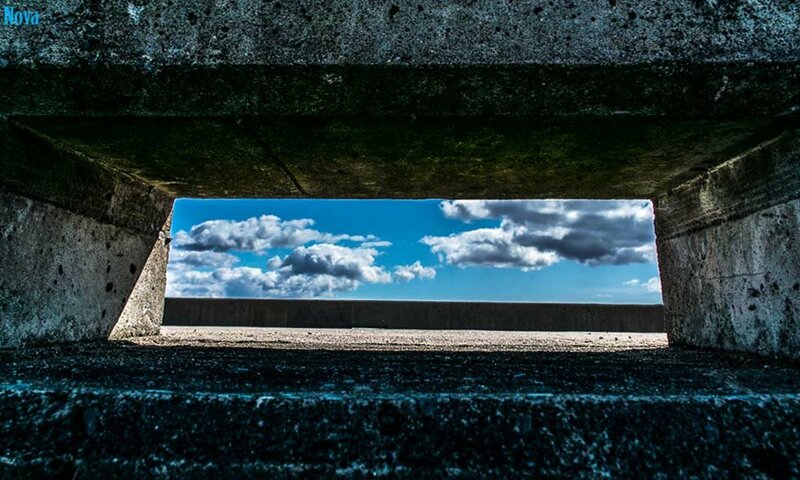 I had waited 10 days for the right type of clouds and then got distracted by framing the clouds in the concrete pier water drainage thingy. A very cool view and nice framing. This works really well! Super capture. What a cool shot! Can't tell if this one was shot up or through, but I like it for sure.